Warning: This article contains spoilers for X-Men: Dark Phoenix from the WonderCon panel! 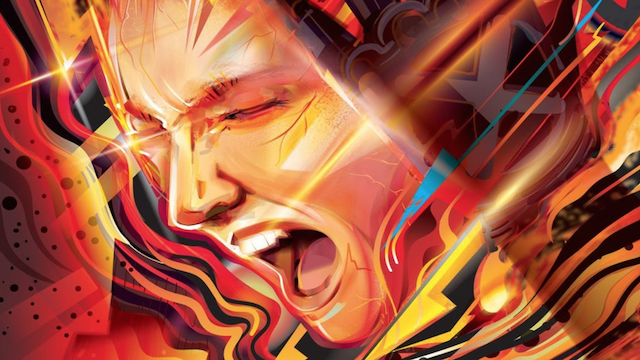 WonderCon Anaheim took place this last weekend, and one of the event’s biggest surprises came from perhaps one of the most unexpected of places – the panel for X-Men: Dark Phoenix. While the trailers haven’t done much to build the audience’s confidence in the movie, this footage presentation looked to change that. Despite the negative buzz surrounding the production of the film and the much-publicized reshoots, the two sequences shown to the crowd were surprisingly effective. The first shows the X-Men going into space much like we see in the trailers, and the second features entirely new footage from a climactic battle, presumably late in the second act. 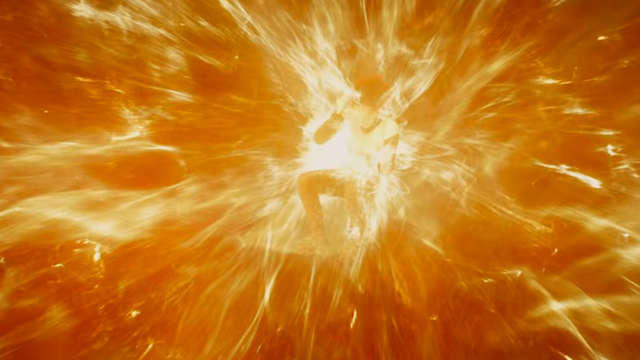 Overall, the footage shown this year for X-Men: Dark Phoenix was unexpectedly impressive. The action, effects and cinematography were all solid, but it was the score by Hans Zimmer that was easily the highlight. There was also a noticeable lack of scenes featuring dialogue from Sophie Turner, who has yet to prove that she can hold this movie together. The footage didn’t do much to inspire confidence in Kinberg’s ability to pull great performances out of his actors. Overall, the performances were a bit flat. Sequence 1 – The first clip that we were shown was from early in the first act, where the X-Men are dispatched to solve a crisis in space. We see the blackbird majestically rise from the basketball courts of the X-Mansion, where Mystique leads Beast, Quicksilver, Storm, Cyclops, and of course Jean on the mission. As the X-jet travels to space, we see Professor X enter Cerebro to communicate with NASA to learn that a space shuttle is spinning out of control in earth’s orbit. As the blackbird arrives, the team realizes that a “solar flare” is about to collide with the shuttle, although we all know that this floating anomaly is undoubtedly the phoenix force. Jumping into action, Mystique calls the shots, ordering Cyclops to use his optic blast to steady the shuttle as it rapidly spins out of control. In one of the coolest moments of the sequence, we see Scott’s seat drop to the lower part of the ship where it’s revealed that a weapon has been built that allows him to focus his optic blast outside of the X-Jet itself without damaging it. One the shuttle is stabilized, Nightcrawler teleports with Quicksilver to save the seemingly doomed astronauts. Meanwhile, Mystique orders Storm to use her powers to keep the shuttle from breaking apart while the duo are saving the astronauts. With the clock ticking on how long Ororo can keep the ship intact, Quicksilver swiftly gathers all of the astronauts around Nightcrawler, who transports them all back to the X-jet. Once they arrive back, however, they realize that the commander of the ship is still on board. While Xavier is adamant about having the team save all of the astronauts, Mystique objects because the ship is set to explode at any second and she doesn’t want to risk the lives of the team. With Storm struggling to hold the ship together, Professor X then asks to Jean to take over but she says that she can unsurprisingly only do it from the inside of the shuttle. Much to Mystique’s chagrin, Nightcrawler and Jean teleport back to the shuttle. Jean struggles to keep the shuttle intact while Kurt is able to save the stranded astronaut just in the nick of time. Unfortunately, Kurt is forced to leave Jean behind through a certain set of circumstances, which of course causes her to absorb the phoenix force. After she absorbs the energy, Nightcrawler once again teleports into space to rescue a seemingly unscathed Jean this time. Returning to earth, the X-Men are celebrated by the world with a huge crowd of fans and cosplayers gathering to greet them. Everyone soaks in the attention and the president sends his regards, while Mystique remains unhappy about what went down with Jean. Sequence 2 – The next clip takes place much later in the story, starting in the X-Mansion. Charles has gathered the remaining mutants, with Cyclops, Storm and Nightcrawler joining him in Cerebro. Charles informs the group that Magneto – along with Beast – have found the location of Jean/Phoenix and intend to murder her. Although Professor X only wants Scott to travel with him, the other two convince him to come in order to even the odds. Charles uses his powers to show Nightcrawler an image of the location in his head, and they all teleport to what is presumably central park. With Magneto set in his ways, all hell breaks loose on 5th avenue as the Brotherhood try to get to Jean while the X-Men try to stop them. Cyclops chases after Magneto, but Beast intervenes and the two duke it out. Although he’s not trying to really injure Beast, it’s pretty obvious that he wants to kill Magneto with full strength optic blasts. Meanwhile, Storm and Red Lotus square off, as Selene gets the better of Nightcrawler with her telepathic abilities. While Professor X is eventually able to save Kurt’s life as the fight comes to a head, Magneto uses his powers to pull a massive subway train from the earth to end the madness. Even though this is something that felt reminiscent of the submarine moment in X-Men: First Class, Magneto proceeds to drag the subway car in the building behind him to block the entrance. It’s a pretty badass (and practical) moment in the sequence. 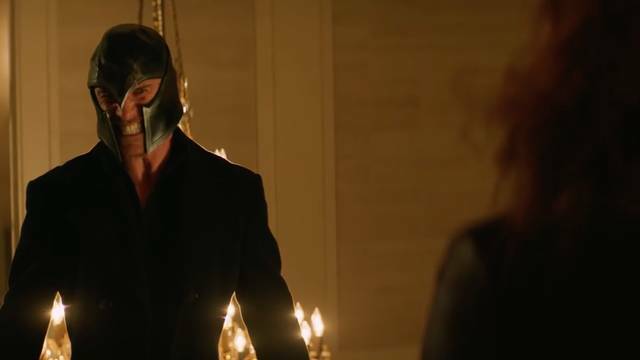 Confronting him in the entrance of the building are a seemingly formed Phoenix and Jessica Chastain’s mysterious super villain who is purported to be an “alien shape shifter.” After a quick dialogue exchange about Jean being “cast out” by Magneto, he manipulates a nearby piece of metal railing that nearly manages to penetrate her eye. However, Phoenix is much stronger than him so she is able to easily gain the advantage by crushing Magneto’s helmet. The clip cuts away as Erik writhes in pain, leaving us to wonder if he’ll make it out if this scenario alive. Reeling back the legendary composer into the superhero genre wasn’t easy, but the director managed to get Zimmer back, saying “I went to him, and basically begged and bartered, and annoyed him long enough to where he ultimately said yes. I think he also said yes because what I promised him – and what I promise you guys – is that it’s a very different kind of superhero film. That it’s a more rich, emotionally intense, intimate movie that’s got all the bells and whistles, fun and spectacle that you’ve come to expect for these films. But it gives you some of the emotion, like Hutch was saying, from something like Logan. At this point, Sophie Turner, Nicholas Hoult, Tye Sheridan, Alexandra Shipp, Evan Peters, and Kodi Smit-McPhee joined the panel. When asked about any pranks that occurred on the set between the tight knit cast, Kinberg recalled Jessica Chastain as one of the set’s biggest practical jokers. He jokingly calls her a “menace,” recalling a moment when she got the stunt team to make James McAvoy unwillingly dance to The Macarena while doing wirework in a scene. On a side note, why an actor who plays a character in a wheelchair is doing wirework is an interesting tidbit that could imply certain plot developments. RELATED: SHH Talks With Sophie Turner & Evan Peters! Kinberg notes a sequence where Jean goes to her childhood home as one of his favorites, mostly because they built an entire street of suburban houses, which they naturally destroyed. He also alludes to the above sequence that takes place on Fifth Avenue in Manhattan – which they built an entire five-block set for, only to once again destroy. Turner also elaborated on the computer-generated hair of Phoenix, which she called “terrible” to deal with on set. “They decided to do it with a bald cap and various tracking points for CGI.” The actress jokingly describes herself as looking like Megamind on set. 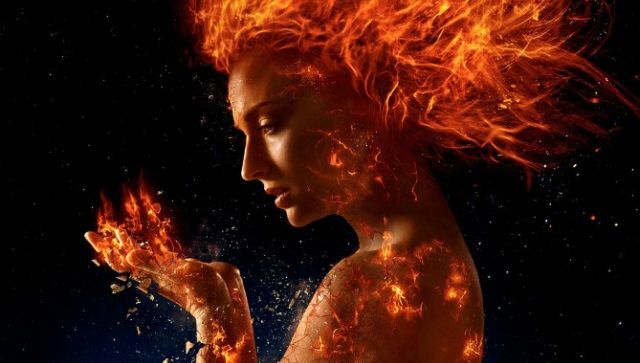 What do you think about the Dark Phoenix cast’s latest comments from WonderCon? Let us know in the comment section below!